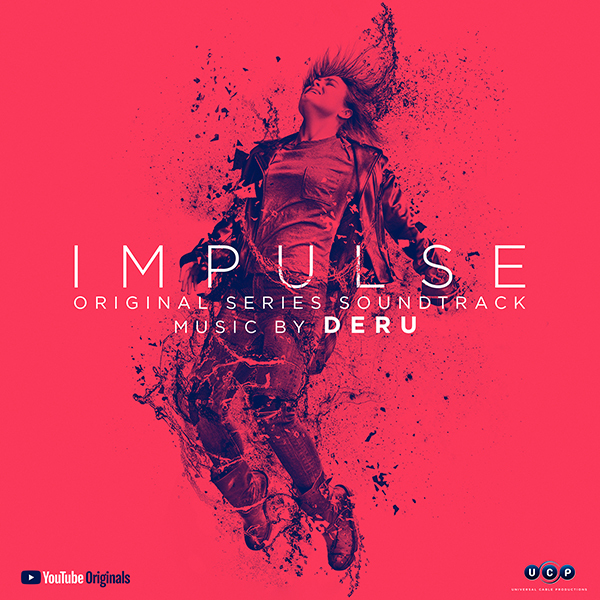 Lakeshore Records will digitally release the IMPULSE: SEASON 1 Original Series Soundtrack on July 20th, which will feature the show’s original score by DERU, also known as the Emmy-winning composer, Benjamin Wynn. The 10-episode Sci-Fi series, created by Doug Liman (The Bourne Identity, The Edge of Tomorrow), is 100% certified fresh on Rotten Tomatoes and is now available for streaming on YouTube Premium. DERU: He earned a Bachelor’s degree in Music from the California Institute of the Arts, and has released 4 albums under the name “Deru”, as well as scored television, film, and dance. Wynn was the co-owner and founder of a music and sound design company in Los Angeles called The Track Team along with Jeremy Zuckerman. Together they worked on numerous projects, including “Avatar: The Last Airbender" and "Legend of Korra” for Nickelodeon. They won an Emmy Award for music editing for “Kung Fu Panda: Legends of Awesomeness” in 2012, and another Emmy for the same project in 2015. In 2007, Wynn (as Deru) collaborated with British composer Joby Talbot on the score to Wayne McGregor’s ballet, Genus, based on Charles Darwin’s book, On the Origin of Species, commissioned by the Paris Opera Ballet. The ballet premiered at the Palais Garnier in October 2007 and was commissioned for a second round of performances in November 2009. The ambitious eight-part score combines electronics with a 10-part choir and string instruments. The score is available on Ant-Zen and Dear Oh Dear Records and was featured in the 2009 documentary, La Danse: The Paris Opera Ballet. In addition to his scoring work, Wynn is a founding member and Creative Director of The Echo Society, a Los Angeles based composer collective and non-profit organization that premiers new orchestral works in singular, one-night-only events.